Are you looking for the best offers on Power Banks? Here is a list of them that are available on the leading e-commerce sites at great prices. Check them out to find the one you could pick up. Today to stay connected at all times and especially on the go, people are banking on power banks which never let you down at the end of the day. I have listed five of them which are the most popular, which you can grab at the most affordable range. Check them out to find which one suits you better. This PNY power bank is a 3.7 volts lithium-ion battery device that has a capacity of 5200mAH. It has a sophisticated design with a trendy look. There is a built-in torch and 4-lights of LED indicator, that displays the current status of the battery level. The option of Auto power off, is a power saving feature that can be utilized for retaining the battery energy. The input of this power bank is: 5V, 1A and the Output is 5V 1A. There are 7 types of protections included in the device to ensure extra safety which are - over charging, over discharge, over current, short circuit, insulation safety, unstable voltage and UN 38.3 safety. It is compatible with most of the digital devices that comes with DC 5V input, like smartphone, iPhone, iPad, tablets, MP3/MP4 players, GPS and so on. The user gets maximum 1 year of warranty provided by the manufacturer since the date of purchase. Its average customer rating goes to 4 star and people are overall happy with the design and built with a scratch magnet body. Some say that to make it sturdy, the weight of the power bank has increased a bit. Even then, it is quite pocket-friendly. The output level is a little bit lower than what was expected. But the charge retention and battery efficiency is quite satisfactory, as it can retain 70% of power even if it is used after 10 days of a full charging. Overall it gives a good value for money. It is a powerful power bank with a capacity of 10400mAh. There are dual USB ports that are of 5V/2A and 5V/1A and because of these one can charge two devices at a time. You can even charge your smartphone 3 to 5 times, to keep the devices keep running continuously.The built-in special circuit boosts up full speed for the devices connected to it like smartphone, iPhone, iPad, MP3/MP4 players, tablets and so on. The device is compatible with most of the smart devices that have a 5V input USB-charging option. The power bank comes with a multiple level safety protection feature. There is a built-in flashlight that comes to use in various situations like in-house power cuts and in any dark atmosphere. Customer FeedbackThe product has earned quite good customer feedback with a rating of 4 star. They were happy with the finishing, the look and its portability. The LED lights Indication during charging is yet another useful feature. Works best for Mobiles, Digital Cameras, and Tabs. In the box you also get a travel pouch which looks pretty attractive. What people were not satisfied about, is its bulky size which isn't that pocket friendly. Then, though it comes with a cable, there isn't any adapter which is an essential accessory for faster charging. 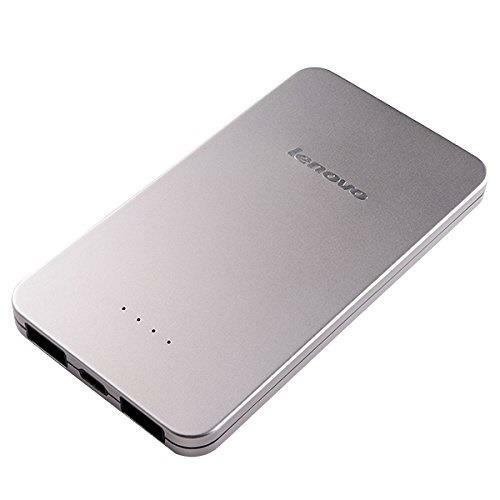 This PB4 10 Lenovo power bank is having a capacity of 5000mAh that can charge two smart devices simultaneously fully. The look and feel of the power bank is surprisingly sleek and lightweight, with a protection for over charging to ensure extra level of security against all damages. It is pocket-friendly, portable and useful. The product comes in a black colour plastic transparent case which is protective of dust and scratches. Customer FeedbackIt has got a very high customer rating that goes up to 5 star. Many recommend it as a must have accessory for all smartphone and tab users. Features like 4 LED indicators and the security protection made the product advanced and recommendable. The best part appreciated about the product is the amount of charge left in the power bank which is quite impressive and whenever one has to charge a phone, all one needs to do is connecting the cable. 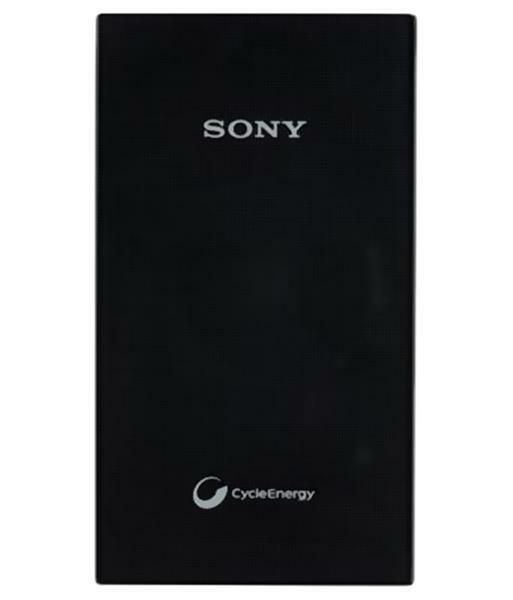 This Power Bank from Sony has a capacity of 6001-7000 mAh and is powered by a Li-Ion power battery. The input of this device is DC 5V,1.0A and the output oower is DC 5V, 1.5A. It has a LED indicator for displaying the battery level status with micro-B USB connector and an AC Adapter for charging. It is a lightweight device that is compatible universally with all smart devices. The customer feedback for this product is generally good with 4 to 5 star rating. But there are few complaints about its slow performance. The battery capacity of this power bank is 13000 mAh which is powered by Li-ion battery cell which is highly rated for its safety and stability. Its cool features include Dual Output for charging in which the output is of 2.1A and input is DC 5V/1A, indicative LED lights, a torch Light, a toggle button for switching it off and on. The device stands to be quite durable and portable. The power bank has the latest state-of-the-art chipset to improve the safety factor and charging conversion rate for each of the devices it would charge. The charger is compatible with almost every mobile phone, tablet PC, media player, digital camera or any other electronic device. It has earned all 5 star rating with no negative remark so far. It has rendered great performance for retaining the power for 30-35 days when not in use. Users have also appreciated its sturdiness which survived quite a number of dropping down. It could charge the mobile phones 4-5 times a day and still was left with some more to charge other devices. 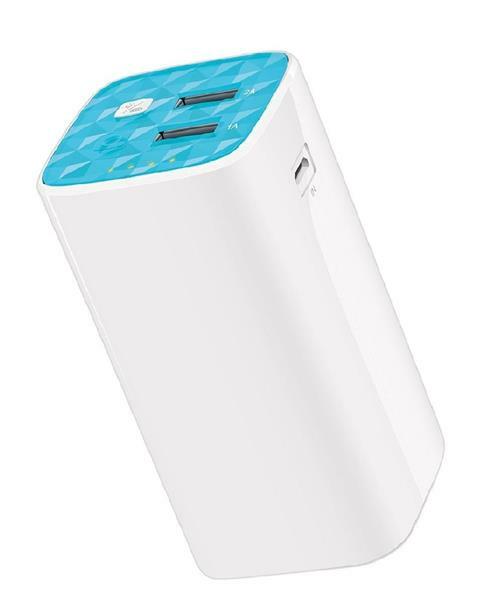 If you are searching for a Power bank for your daily use since you are constantly on the move then the above listed power banks are the best for you. 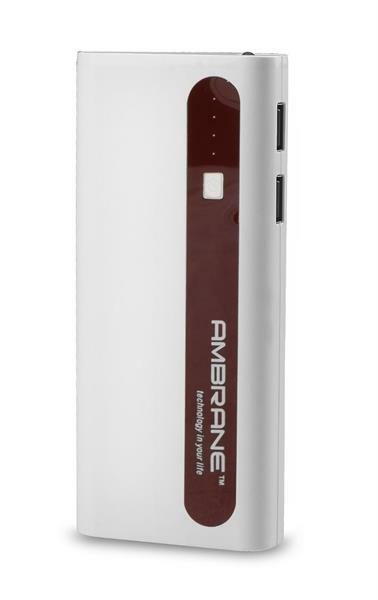 If you are looking for multiple recharges then go for a little higher range of Ambrane 13000 Mah Power bank otherwise if you are looking for just one or a little more charge cycles, you can pick any of the above Power banks. Make you pick and stay charged on the go!